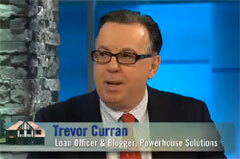 Trevor Curran's thoughts on mortgages, real estate and first-time buyers. Getting prequalified helps you make better decisions about the house and the Realtor you choose to work with to buy that first house. Before you go out into the field to search for your home, before you make a phone call to a real estate office or a Craigslist ad, know your mortgage qualifications. To my mind, not preparing in this way is a recipe for disaster. 1. You can make better decisions. When you are prequalified you know your “limits.” This helps you decide if a house is right for you based on monthly payment. Just because it has sufficient bedrooms for your needs, the two car garage and the fireplace you desire, doesn’t mean it’s the right house for you. If you can’t afford it, you can’t buy it. Your mortgage professional should be guiding you in advance by providing benchmarks to help you determine the monthly payment on a house. Better still, your mortgage person should be available to answer questions and calculate monthly payments when you’re most likely to be out and about: evenings and weekends. My clients know they can call me while they’re standing in the kitchen of a prospective house to ask me to run the monthly payment/downpayment figures. When you are prequalified you know how much cash you will need to buy a particular house: both for the downpayment and closing costs and for the monthly payment. If you find the “right” house, and you know your financing information, you will be certain it is the house you can buy. 2. Experienced Realtors will work with you. It’s true you can call forty-seven different real estate offices, speak to twenty-three different real estate agents and make appointments to see twelve houses next Saturday. That’s easy to do. Consider how much of your time you might be wasting making those appointments if you’re not qualified. You’ll look at houses that you’re not qualified to buy. You’ll fall in love with the huge living rooms and the formal dining room and the finished basement. Then, two weeks later you’ll discover you’re not qualified for the loan to buy that house. How discouraging will that be? That’s huge! You might not even want to go out and look at homes again! A letdown like that can really ruin your day and make this homebuying experience more difficult and heartbreaking than it needs to be. Inexperienced real estate agents probably won’t even ask you if you’re prequalified. The agent is happy to have a customer. If you’re not prequalified you’ll waste your time and the agent’s time. An experienced agent won’t make any appointments if you’re not prequalified. Don’t take it personally, in fact, you should mark it as a sign of professionalism. Further, that’s an agent you WANT to work with! That’s the sign of an experienced agent who will listen carefully to your requirements of the house you wish to buy. This agent won’t waste your time showing you homes that you’re not the least bit interested in. How do you know this? Because she has already demonstrated her unwillingness to waste your time. This is an agent who wants to spend her time carefully. She wants to sell you a home and earn a living! When you are prequalfied and you call real estate offices, this is the kind of agent you need to speak with. Use your mortgage prequalification as a test. If an agent doesn’t ask you that most important question, “Have you been prequalified?” hang up the phone. Your time is too precious to waste; this is the biggest purchase of your life! Buying your first home is too important to you and your family to waste time dealing with inexperienced agents. It is not only the home-searching which can be frustrating when you work with inexperienced agents. There’s so much more that’s invovled in buying a home, and so many things that can go wrong. Experienced agents watch out for problems from the beginning. Ask yourself, “Do I want to spin my wheels working on a home purchase that might never actually happen?” Just because you found the house, agreed on the price, and had a good engineer’s report doesn’t guarantee you’re getting the keys to the house. What happens if the agent calls you up one day and says, “Oh, I have some news. The Seller can’t close for another three months because their house down in Florida isn’t ready yet.” WHAT? An experienced agent would have asked these questions from the get-go. Why? She doesn’t want to waste her time! So, before you make that call to a real estate office, get prequalified for mortgage financing. Getting prequalified helps you make better decisions about the house and the Realtor you choose to work with to buy your first home. There are lots and lots of “little” things that can pop up on your credit report. When they do, these little monsters can wreak havoc with your credit score. Take care with all aspects of your credit profile. It’s not just that Christmas shopping VISA bill you have to worry about paying on time. There are lots and lots of “little” things that can pop up on your credit report. When they do, these little monsters can wreak havoc with your credit score. Sometimes you can control these nasties making an appearance on some future credit report; sometimes you can’t. If it’s one of the items featured in this article from the Wall Street Journal then you had control at some point. Maybe it was a parking ticket you forgot to pay. Or that seriously overdue library book: the one from 2003! These are examples of bits and pieces of our “credit life.” We forget how these lapses of responsibility can creep up on us in the future. Nowadays—as the WSJ article points out—the sudden appearance is on your credit report. And if you’re in the process of obtaining a mortgage, the affect on your credit score could affect the interest rate you are charged for the loan. And then, there are the credit “nasties” which you don’t have any control over, yet they raise their ugly head on a credit report, too. These are the surprises for customers that I see most often: a collection account for a medical bill that should have been covered by insurance or a collection account for the cellphone you put in your name for your brother. Oops! You didn’t even know he hadn’t paid the account! Now there’s a collection account for $1179 on your credit report and your score dropped over 120 points! Ouch! For those nasties we can control, I can only emphasize that responsibility for bill-paying is not limited to your rent, your car payment and major credit cards. In the WSJ article, a fellow is quoted as saying his children are prohibited from going to the library anymore; now they can only get books from Barnes & Noble. Well, that’s an immature and irresponsible reaction to an overdue library book fine. Libraries are great institutions and open to all the public. It’s really not that difficult to get a book back to the library on time. And if you can’t, and you return it a few days late, the late fee is literally only pennies. If that late fee later blossoms into a $40 collection account, well, come on, that’s just plain silly. Show the world you’re a grownup and get that book back to the library. You’ll demonstrate your responsibility to yourself by preventing a stupid collection account, and to your fellow citizens for respecting their rights to use the library unhindered by missing books and service cutbacks for lack of funds. Now, when it comes to the nasties we can’t control, I think the best defense is good record-keeping. The IRS says we should keep copies of our financial records for seven years. I don’t think that means we should keep every single receipt, statement, and ATM slip we have ever touched. Rather, you need a simple way to reference a bill you paid (or in the case of the Dentist, that your insurance SHOULD have paid) in the event something appears on your credit report five years from now. Maybe keeping your check registers, the copies of the bank statements with your checks (or the actual cancelled checks if you are lucky enough to still get them from your bank!) and an insurance file with the benefits-paid explanation statements. Get a system going, box it neatly and store it in the attic. Update the file folders every month or so. Dang! Life is complicated enough, isn’t it? But, a little bit of responsibility now—whether that’s returning a book to the library or organizing a basic financial record-keeping system—will go a long way in the future to protect you from those little nasty credit surprises. In the end, it’s the little things that count. Co-Op loans can be difficult to deal with and many good, experienced mortgage pro’s don’t want to touch them. I just had the most interesting conversation with an account executive at a national wholesale Cooperative loan bank. I’m working on creating a relationship with them so that my company can sell loans directly to them. This is how mortgage banking works: we process and underwrite the loan, close it in our name, then sell the loan into the secondary market. In this case, I’m looking to expand the options available to my clients for Co-Op loans. The company I spoke with today offers Co-Op loans with 5% downpayment, which is unheard of in the business. In any event, the young woman doesn’t know me from Adam. When I finished introducing myself and the explaining the purpose of my call, she responded rather oddly. We chatted some more, about my experience in the business and the kinds of customers I work with for Co-Ops and she warmed up. She then regaled me with horror stories of mortgage “professionals” who don’t know a Co-Op questionnaire—“…a what?”—from a snowtire. It was a great chat and reinforces what I tell my wife quite frequently: “Any idiot can get into the mortgage business.” So many mortgage “professionals” out there are driving people crazy: both the customers like you and the Lenders they try to do business with. Bottom line: these folks just don’t know what they are doing! I’m happy to report that as I’m writing this I have just received the email with the registration information so that I can sell loans to her company. 1. Maximum LTV (Loan To Value) is 95%. That means you need 5% down. There is no 100% financing available. 2. There will be PMI (Private Mortgage Insurance) on the loan. You can’t break Co-Op loans into 80/15’s to avoid the PMI. 3. You must verify—I usually do it for my clients—with the Co-Op if they will accept financing with only 5% down. Many Co-Ops require at least 20% downpayment, regardless of what a Lender is willing to give. -Qualify the Cooperative: I contact the management company directly and have them complete a standard questionnaire. Co-Op loans can be difficult to deal with and many good, experienced mortgage pro’s don’t want to touch them. Too much work involved and too great a chance the loan doesn’t close. The loan might not close through no fault of the Lender, the Co-Op board might reject the buyer, or worse (and more commonly) the Cooperative corporation may not be qualified. When you make your loan application for a mortgage loan, we in the bank “process,” your application for approval and closing. 1. Don’t establish new credit accounts. Don’t open any new credit cards, apply for a car loan, or consolidate your credit accounts and transfer balances. Doing so may affect your credit score. 2. DO keep your bank accounts in order. Maintain the balances as they are on the day of your loan application. If you need to deposit money other than your regular paycheck, or transfer from one account to another, contact your loan officer. 3. DO pay on time. Keep paying your bills on time until closing day. That includes your rent. 4. DO advise about trips. Vacation alert. If you are planning a vacation during the loan process period, please advise your loan officer immediately. 5. DO ask questions. Questions are good. Please call anytime you have questions about anything involved in the process of buying your first home. This should hearten those of you who have been used, abused, overused and generally maltreated in this Seller’s market. Okay Buyers, you might be getting a little bit of peace on your side of the negotiating table. Follows is a quote from an editor at Kiplinger’s on CBS Early Show. This should hearten those of you who have been used, abused, overused and generally maltreated in this Seller’s market. 1. It’s still a Seller’s market; those Sellers are going to have ‘attitude’ for awhile, yet. Tread cautiously. 2. Interest rates are climbing. Already this week the median rate for a 30yr fixed rate loan is 6.47%. Act soon. “It was always a sellers market; now let’s just say there’s more of a balance between the buyers and sellers. No matter how you may feel about war in general or any wars in particular, Friday is the day reserved to remember and thank those men and women who sacrificed their time, or their lives, in service to our country. Friday is Veteran’s Day. No matter how you may feel about war in general or any wars in particular, Friday is the day reserved to remember and thank those men and women who sacrificed their time, or their lives, in service to our country. These articles focus on the new internet tools available; there is a wealth of good advice for anyone involved in the purchase and sale of real estate. NYTimes.com Technology section has an excellent series of articlesabout internet resources for homebuyers and sellers. These articles focus on the new internet tools available; there is a wealth of good advice for anyone involved in the purchase and sale of real estate. I strongly recommend you visit the site to add some valuable insight to your buying or selling experience. NYTimes.com in general is an excellent resource; I read and refer to it often (in case you hadn’t noticed!). One of the articles (linked below) is “Location, Location, Location. Research, Research.” This article gives an overview of internet resources and some advice. I disagreed with some of the advice and wrote an email to the editor. I consider NYTimes.com a valuable and authoritative resource. I refer clients, business associates, friends, and family to your site on average of thirty to forty times a week verbally , on internet postings and in my business blog. I found the article “Location, location, location. Research, research,” to be informative but flawed in a few ways. I am a Mortgage Banker with sixteen years experience in the New York metro marketplace. My comments are specific to that area. I have discovered when participating in conversations at the Craigslist Housing Forum (a valuable resource not mentioned in your article) real estate situations can be so localized and market-specific as to make even the most fundamental “general” advice useless. While NYTimes.com is writing for a national readership, it might be useful to mention this dilemma prominently in your articles. The article advises Buyers and Sellers on two very specific situations; as a Mortgage Banker working closely with my Buyer-clients, I must disagree with your recommendations. In my opinion, the advice provided does not synch with real-world conditions. BUYERS: I always recommend engineer inspections to my clients. I am reluctant to proceed on any mortgage application where the buyer has not committed to this most important protection. Your article states that buyers have let this behavior slip due to a frenzied market. Yet, there are many real estate, legal and mortgage professionals like me who would not allow that. When the inspection report is in hand, you recommend asking for cash-for-repair concessions from the Seller, “as much as you want.” While this works wonderfully in a full-on “Buyer’s market,” this is a flawed strategy in the current climate. There is no lack of Buyers in the NY Metro market. A Seller who is pushed aggressively for concessions is likely to send a Buyer packing, regardless the price offered. The reason is simple: a Buyer who makes the Seller’s life difficult from the beginning is a potential troublemaker through the entire purchase/closing process. The Seller may well ask, “If they’re this fussy today, what are they going to be like three weeks from now before and during the closing?” A Seller wants to get to closing quickly and with the least drama possible. Finally, a Buyer has no knowledge if there are other offers on a property or not. SELLERS: The article suggests Sellers would gain more value researching local comparables instead of increasing commissions to Buyer’s agents. Research of market values should be a given for any Seller, not a substitute for other important activities. Regarding the commissions paid to listing and buyer’s agents, after sixteen years in the business I can state with complete confidence that you “get what you pay for.” I admire new and different efforts to sell real estate. The new Seller’s assistance flat-fee and no-commission business models are worthy attempts to market from a different perspective. In many real market situations, unfortunately, these business models provide a disservice to both Sellers and Buyers. My wife, Lorraine, is a Realtor with a Century 21 office. We work together; I prequalify and refer buyers to her, she shows and sells them homes. When researching properties on MLS, she will go right past properties that list a commission less than 2% for Buyer’s agents. It’s just not worth her time in real dollars to work for 1 or 1.5%. She is paid a portion of that commission: her broker takes his part after paying a franchise fee to Century 21. For a commissioned salesperson, time is money; time invested does not guarantee a payday. “Buyers are liars,” is an old adage amongst Realtors. Buyers are notoriously fickle. In a perfect world where buyers a) returned calls, b) showed up on time for appointments, c) made honest representations of likes and dislikes, and d) never stood up agents for appointments, then a lower commission would be satisfactory compensation. Heck, you’d probably have real estate agents working on salary because of the “certainty,” of the sale. But the agent’s real-world experience is filled with wasted time and uncompensated efforts. Agents take this into consideration when deciding how much money they are willing to work for. My wife’s recent and first experience with a 1.5% commission would discourage any other new agent (she’s had her license just a year). She sold a cute $329,000 starter home on Long Island to one of my clients. Our Buyer was a pleasure to work with. The Seller and their listing agent and attorneys were impossible to work with. All the trouble occurred on the other side of the table, both during the escrow period and the closing. The listing agent (who earned a 4.5% commission) was especially difficult to work with, if you could even get him to return a call or email. Lorraine wound up doing all the contact work with the Seller for home inspections, contract-signing, appraisal and closing. The listing agent is responsible for these activities. Had my wife been a new agent (the only kind who will work for such a low commission, in my opinion) she might very well have given up on a real estate career considering how little money was earned in relation to the amount of work required to close the transaction. Lorraine had the benefit of the excellent broker she works for and me to guide and encourage her. One of the reasons I think it’s better to own than rent is the problem with landlords. Today on both Craigslist Housing Forum and in the NYTimes.com real estate section there are stories of people having problems with their landlords. “Two years ago, they moved together to a one-bedroom rental in Fort Greene, Brooklyn. It was in bad shape, with flaking paint and crooked windows. The basement storage room was dank and moldy. With one shared closet, ‘I had so many more clothes that Harry felt he was having short shrift,’ Ms. Marquez said. Considering the apartment’s condition, it seemed expensive, at $1,580 a month. Qualifying a borrower correctly is difficult to do and requires the experience of understanding underwriting guidelines, knowing the questions to ask of the borrower, and the ability to read and comprehend income documentation. I replied today to a question over at the Housing Forum on Craigslist. The person inquired about No Doc loans. These are loans where the bank does not verify your income or your assets, only your credit score and the appraisal for the house. Rates are considerably higher for these loans, anywhere from 1% to 2% higher than market rates for loans where we verify your income and your assets. “No Doc” loans and other No-Income-Verification type loans determine the approval using the credit score. If your question is about the loan amount, then, yes, No Docs are available for that loan amount. But, as life888 points out you might qualify for a Full Income verification loan (Full Doc). With today’s rates so low, assuming good credit (at least 620) and low monthly debt, income needed to qualify for 100% loan of $280,000 (assuming taxes and insurance of $250 a month) is less than $85,000 annually. Remember that rates on NIV loans are at least 1% higher than market. Before you start talking “No Doc,” your loan officer should exhaust all possibilities to prequalify you correctly. I had lunch with a real estate attorney yesterday. We agreed that in the current market mortgage “professionals” take the easy way out on qualifying all too often. They see a good credit score and they stop there. Next thing, the borrower is signing docs for a NIV loan with a higher rate than they could have gotten if they’d been properly qualified. Rate quotes are nothing more than a disturbance of the air around the mouth of the speaker. Or a few blips of 1’s and 0’s transmitted in the blink of an eye across the internet. I don’t know where I got the expression, but it’s a good one: A quote is a quote is a quote. Too often people focus on the interest rate they are paying for the mortgage loan. I’m not saying that interest rate isn’t important, it is! But if you can’t get the mortgage loan you want, need or are qualified for, what the heck does it matter how many banks you call and ask for rates? Getting a rate quote is like putting the cart before the horse. Once the horse starts walking, that cart is going all out of whack all over the road. There’s no steering the cart from behind! I prefer to qualify people first. First, can I even approve you for a mortgage? Next, if it’s a YES to that first question, then what type of loan is available that meets your qualifications? I want to know what your personal and professional life goals are so that I can recommend loan products. Frankly, I like good old-fashioned thirty year fixed rate mortgages. When I understand what your plans are for the future then I can make recommendations to different loan products. Finally, once we know all of the above, then I look for the best interest rate for your needs. To me, that seems like a very sensible way to conduct business. Out there in “the world” it is painfully obvious that a lot of other mortgage “professionals” conduct business differently: they start with the rate. Later on, I guess, they deal with all the other complicated stuff about qualifying and approving mortgage loans. Of course, this is a sales technique like any other. You see, for example, the car advertised for, “$99.00 a month lease new car!” You run to the dealership Saturday morning only to discover the cheap lease was for three selected cars and, oops, sorry, they’re sold already! But we have these other models of the same car. Lease price? $329.00 a month! Hey, they’ve got you in the showroom. That’s half the battle. Now they’re going to sell you something. The same thing holds true with a quote. Quote, quote, quote, and quote some more. Eventually people arrive in the showroom. Cart-in-front-of-horse. Me, I’ll put the horse in front of the cart and steer straight and true every day of the week. It’s good for me and it’s good for my clients.